At Evergreen Home Healthcare, we are proud to offer a rewarding career path for healthcare professionals through in-home healthcare. Whether you’re a Nurse Practitioner, Registered Nurse, or Certified Nursing Assistant, we always have a variety of job opportunities for skilled and compassionate professionals who wish to provide in-home care to residents of Colorado. Beyond our superior benefits such as two weeks paid time off, health insurance, retirement planning, and overtime pay, simply the nature of the work has a lot to offer in itself. In-home nursing can be one of the most rewarding career paths. Read on to learn more about how you can benefit from this line of work and joining the Evergreen team. In-home healthcare is a rewarding career because you know you’re making a genuine difference. When you offer care in someone’s home, you form a personal relationship with them that is far deeper than those you form in a hospital setting. You are welcomed into their home and their family, offering a work environment that makes it easy to build intimacy with your clients. You get to see firsthand how your work is positively impacting your patients, and you can rest assured that what you’re doing genuinely helps. In-home healthcare nurses are able to create a flexible schedule in a way that is not possible in other healthcare settings, such as clinics or hospitals. Whether you are raising a family, pursuing a degree, or are semi-retired, if you’re looking for a helping profession that gives you the ability to make your own schedule, in-home care is the way to go. Your medical knowledge is essential for the successful treatment of your patients, but one of the most important things you are providing is simply your company. Especially when you are working with the elderly, loneliness is a common and serious problem for that population. In fact, recent research suggests that loneliness is fatal. The companionship that in-home healthcare workers provide goes a long way towards improving the quality of life of those in your care. Not only that, in-home healthcare aides benefit from the company of their patients as well. Building strong and healing relationships in this way is good for your mental and physical health and makes your job even more rewarding. One of the greatest advantages of in-home care is that the patient is able to be treated from the comfort of their own home. 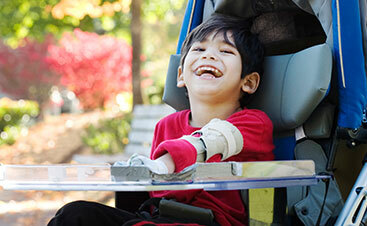 Instead of being bound to a hospital bed, they are able to experience more autonomy in their own space. This is an incredibly empowering option, particularly for elders who may feel powerless in the face of aging. By providing in-home care, you are giving them the best option for success in their treatment. 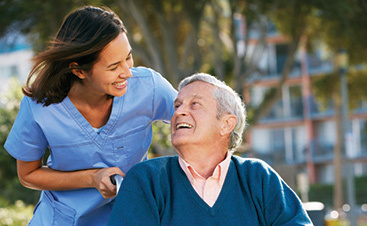 In-home healthcare offers you the opportunity to specialize your skills in a unique way. Whether you are most interested in providing pediatric home health care or you would rather provide adult care, you have options in terms of specialty when you work for Evergreen. From there, you can build a career according to the skills you have and the areas of healthcare you are passionate about. 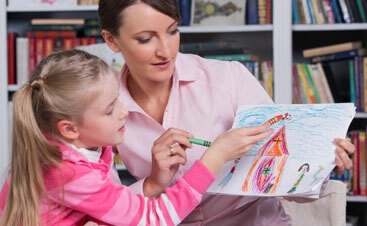 In-home health care is a field that is constantly encouraging professional growth. At Evergreen, we believe in empowering our employees to advance in their career, continuing their education and training. With access to the highest level of healthcare technology and role models to help you along the way, this is a career that won’t leave you stagnant. With in-home healthcare experience under your belt, you won’t ever find yourself scrounging for work. This growing field has a high demand for skilled nurses and home health aides, and as the elderly population grows — there will be more than 72.1 million people over 65 by 2030 — there will be no shortage of in-home healthcare positions for you to choose from. In-home healthcare workers have very high levels of job satisfaction. This is because it is such a fulfilling line of work. Not only are you able to create your own schedule, you are able to grow in your career, and you have the opportunity to truly improve someone’s life. This combination means that in-home nurses are among the happiest healthcare professionals! As you can see, in-home healthcare is a rewarding career that offers many benefits. We are proud to be the best home healthcare agency to work for in the area; just check out our reviews to see for yourself! If you’re looking for a CNA job in Denver, we are always looking for compassionate and dedicated nurses and other healthcare professionals to join our team. Learn more by visiting our Employment page or contacting us today.